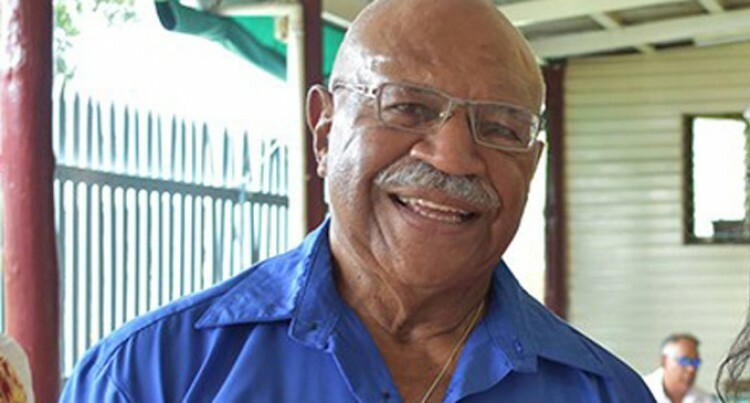 SODELPA party leader Sitiveni Rabuka. Despite collective efforts by political parties [Freedom Alliance, Fiji Labour Party, National Federation Party (NFP), Peoples Democratic Party (PDP), Unity Fiji and Social Democratic Liberal Party (SODELPA)] to have genuine dialogue on critical issues to ensure the conduct of a free and fair election, the Supervisor of Elections and Electoral Commis­sion continue to be obstructive in response to our concerns. Unfortunately, the Commission has downplayed issues raised in recent submissions of 27th July, 6th and 16th August 2018. See: http://bit.ly/FreeFairElectionsFiji. Parties still await a response to our letter of 16 August 2018 listing 19 issues we consider critical for a free and fair election. However, in response to our letter of 29 August 2018, the Fiji Elections Office held a mock count exercise on Monday 3 September. We remain disappointed that each ballot paper will not be held up and shown to each polling agent, as practiced in Fiji’s elections prior to 2014. If the FEO continued the tradition from previous elections where the ballot paper is held up and taken to all party agents and observers, these concerns would not arise. With only 500 voters maximum per polling station, Fiji will have 2468 polling stations in 2018. Parties recommended the Elector­al Commission increase voters per station to 1000 or 1500, to reduce the number of stations. However the Commission does not see the value in reducing the number of polling stations. With 2468 polling stations, parties must recruit 7500 volunteers (3 per station in shifts), to observe the vote and the count. This task cannot be done by one party alone. So in 2018, we are call­ing on our supporters, on all citi­zens, to volunteer to be a polling agent. We must each take responsi­bility for our vote, if the authorities cannot be trusted to do so. Please contact us to volunteer. We will train all volunteers and you will be accredited to observe, moni­tor and audit, the coming elections. It is up to each of us to protect our vote and our elections. Unfortunately, since 2013, that the Elections Office continues to inter­pret the law narrowly, in ways that do not promote transparency, or a level playing field for all political parties. This is probably why the Electoral Commissioners in their 2014 annu­al report recommended to Govern­ment that the Commission obtain independent legal advice, separate from the Attorney-General’s Of­fice. However their terms were not renewed and new Commissioners were appointed in 2017. Concerns and letters from opposi­tion political parties are often ig­nored, and the EC Chairman and Supervisor disrespectful and ob­structive in their attitude. This is why we have said that we have lost confidence in the Elec­toral Commission and the Super­visor’s ability to deliver a free and fair elections in 2018. To say the least, the Electoral Commission and SOE have behaved in a manner unbecoming of their high constitutional office. They are senior public servants paid for by the people of Fiji, in whose interest they must work. The right to free and fair elections is not a right granted by the 2013 Constitution to the FFP Party to interpret in its own interests, but a right guaranteed to the people of Fiji, and it is the Electoral Commis­sion that has the sacred responsi­bility to deliver on that right. Instead, what we see is an Election Supervisor determined to beat his 2014 “record” for a quick election count so that he can boast about it internationally, without regard to the views of political parties who want a level playing field, and with­out regard to the people of Fiji, to whom we all owe free and fair elec­tions.